Not too long ago…in fact, yesterday…it occurred to me that I had changed. It has been said that no one can truly change who they are. But I am going to disagree. My dogs would too. For anyone who meets me, they may think that I have always loved to be outside, to talk to others about their dogs, and advocate for animal rescue. It seems to be so natural to me now. But it was not always the case. I grew up being very unsure of myself, very shy, and talking to others? It was too much effort for me. One conversation would have me mentally exhausted. That part hasn’t changed. But my willingness to try has. Yesterday, we met a reader and follower of our page on a hiking trail. He had just lost his dog to an accident and he was having a very hard time. Maybe you can relate. I know that I can. And I know that one of the things that helped me through it, and still helps me through it years later is by talking to others about him. For this gentleman on the trail, that is what he needed. A few listening ears. Yet, the old me kept talking to me in my head. “I have nothing valid to say. Why would anyone want to talk to me? I can’t help him.” And the old me…before Brickle and Digby…would have politely told him I was sorry and kept going. But no. No, this was not what I should do. Yet, I had to talk myself through it. I reminded myself that I had a responsibility to let others know that the lives of their dogs and pets were made better by how well they took care of them. I reminded myself that I had a responsibility to let others know that their dog was valued, a life, an individual. And so, an hour later, with trembling hands, we said our goodbyes. Was it worth it? Yes. Yes it was. And I had Brickle and Digby to thank. No, Brickle and Digby didn’t sit me down and have a talk about being nice to others, or how to overcome my insecurities. No, Brickle and Digby didn’t tell me that I needed to work on my temper, or make time for others. No, Brickle and Digby didn’t tell me that if I got outside everyday and hiked with them for miles that my depression would get better. No. They didn’t tell me. They showed me. From day one of them coming into my life. By Brickle and Digby showing me what they needed, I knew it was my job to fulfill their needs in the best way I knew how. And by doing so, my personality started to change. I became more sociable. I became more confident. I threw away my antidepressants. I had them to live for. And as long as I live, I will be indebted to them for this. I truly believe they saved my life. Because if I would have kept going on the same path, I wouldn’t be where I am today. Some people may wonder if that truly is a good thing…being in a motorhome and old car with a simple way of life. Well, to me it IS life. My dogs are life. 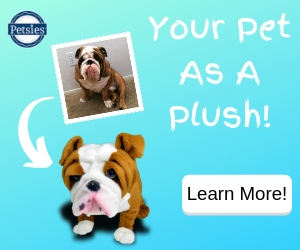 So can a dog…or two…change your personality? I know so. Am I always a confident person who can talk for an hour? No way. Some days, it is effort to say hello. But as I continue to work on who I want to be, my dogs have gentle reminders to keep me going on the path to bettering myself. When they want to say hello to other dogs, I have to talk to their owners. When I visit a rescue, I have to meet the folks there, not just the animals. When we get pleas for help with a pet, I have to put my feelings aside and help. I have to do it. Brickle and Digby tell me to. Because someone put everything they had into saving our dogs. 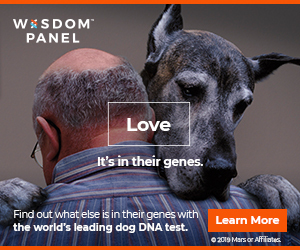 And every dog and pet deserves that. I am not who I want to be yet. But my dogs are leading me there. I hope that you will let your dog show YOU who YOU can be too. Listen to our podcast! Now on iTunes, Stitcher and Google Play! During this fall season, help your dog with the many stresses that come along with it! Use coupon code 2TDFALL at www.petreleaf.com and save 10% off of your order! I can relate to this in so many ways … thanks for sharing your heart!